Tabs ultimate shortcodes is a fully responsive and jquery Tabs WordPress plugin that offering a modern and engaging user experience. 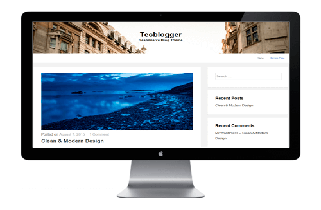 Tabs ultimate Shortcodes is a fully responsive and jQuery Tabs WordPress plugin that offering a modern and engaging user experience. you can use unlimited tabs in your WordPress Site Using Tabs Ultimate Shortcode Plugins. Tabs Transitions: fade, slideUp, slideRight, flip, rotate, swingRight, scaleDown, scaleUp, etc. Accordion Transitions: normal and slide. Collapsible: Ability to collapse all accordions on smaller devices. Initial Tab : Choose which tab to display initially. Tab Support wysiwyg text editor. Drag & Drop Tab items sorting. Add and remove Tab item from backend. Tab header title font size. Tab header title font color. Active Tab header title font color. Valid HTML5 & CSS3 layout. Highly customized for User Experience. Unlimited Tab anywhere in the themes or template. Work in all browsers and mobile devices. Life Time Self hosted auto updated enable. If you like Tabs Ultimate shortcodes plugin please don’t forget to spread the word, like it,share it so other people can try it too. * Added Active Tab Hover Color. * Fix Tab Hover Color Option. Version 1.0 [10/5/2016] Initial release.